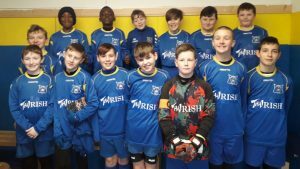 This was Carrigtwohill United U12A’s first Cup match and they had 14 players eager to play their part for their club on a foggy morning in Ballyadam. Their opponents were Mallow United who are playing a division higher than their hosts. Carrigtwohill started very well playing some good football and keeping Mallow at bay with some solid defending. Mallow with some very strong players in their team, scored their first goal after 8 minutes. The hosts had a few chances themselves but could not equalise and unfortunately, gave away a penalty before half time. The keeper guessed the right way but the strike was too strong so Mallow had a two goal advantage at the break. 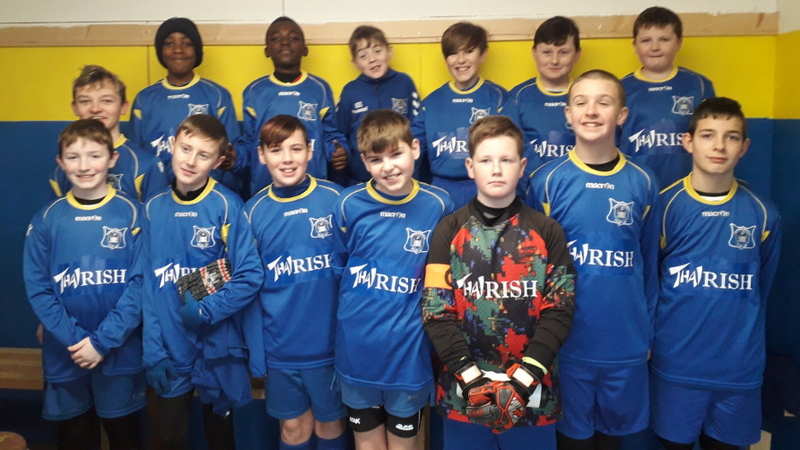 At half-time, the Carrigtwohill boys stayed positive and came out in the second half playing strongly with some lovely runs up both wings and making a few chances which put their keeper under pressure. Carrigtwohill used all 5 subs, so everyone played their part. However, Mallow proved too strong on the break and scored their third to put the win out of reach. The coaches were really happy with the performance and the squad are making progress with every game played.